Construction Executive magazine is pleased to invite your company to participate in the industry’s best-known and most popular showcase for new products and industry innovations. Published in December, CE’s 2018 Hot Products issue is a highly effective way to communicate the features and benefits of your product offerings to an audience of more 150,000 construction business owners and top management decision-makers. The opportunity to be featured in CE Hot Products only happens once a year. Don’t miss your chance to be included when CE announces our 2018 Hot Products issue in December! ​You review and approve the final layout prior to publication. Every Hot Products package includes valuable marketing materials. 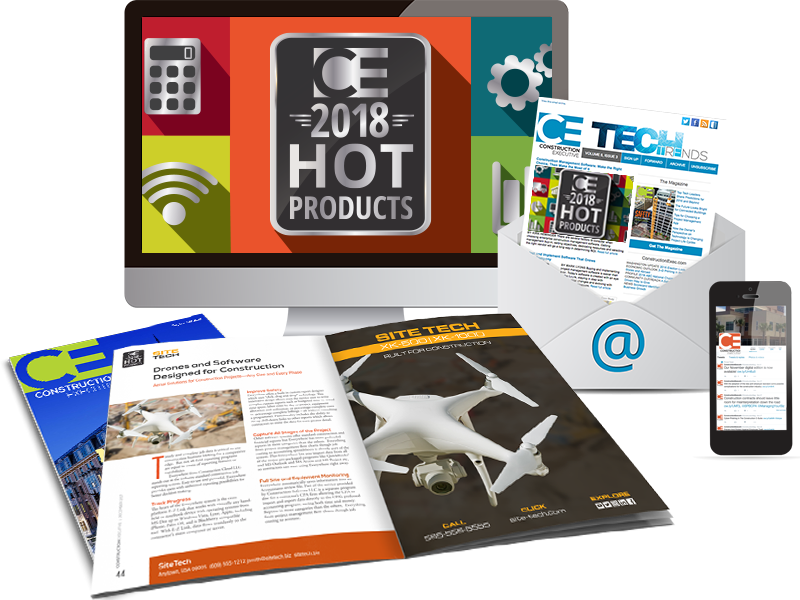 ​CE promotes the 2018 Hot Products issue via email, social media, newsletter​s and more.